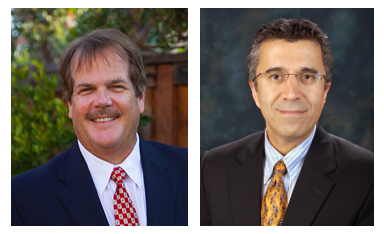 Congratulations to Ken Nelson, Office of Educational Effectiveness, and Rashid Mosavin, School of Pharmacy, who just completed the WSCUC Assessment Leadership Academy (ALA), a 10-month program. To date, seven LLU faculty have completed this excellent program. The application deadline for the WSCUC Assessment Leadership Academy Application is Feb. 15, 2018. Please click here for more information. The WASC Senior College and University Commission's 2018 Academic Resource Conference is right around the corner: April 25 – 27, 2018 at the Hyatt Regency in Burlingame, CA. Learn more here and register soon! LLU is launching on-demand Magna Publication webinars for all online and face-to-face faculty. Each month the University will select two of the one-hour webinars for faculty to view together via Zoom and face-to-face and will be followed with a 30-minute discussion. Schools and programs may also use the webinars for their faculty in creative ways in addition to faculty watching them at their convenience. Check out the schedule and start building your teaching skills! Watermark (formerly LiveText) Conference is June 19-22, 2018 and registration is open. For more information, click here. The Division of Extended Education is offering online instructors the opportunity to participate in a Professional Book Club. It will be a “Lunch and Learn” meeting via Zoom. 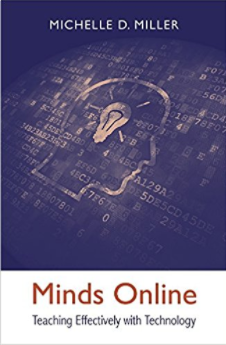 Participants will read the nine-chapter book, Minds Online: Teaching Effectively with Technology, by Michelle D. Miller, and discuss one chapter per week: 12:00 – 1:00 pm, Tuesdays; January 16 – March 27, 2018 (Feb. 6 off for Faculty Development Showcase and March 20 off for Spring Break). Purchase the book and start reading! Space is still available. Contact extendeded@llu.edu to register. Congratulations to Dr. Gail Rice (SAHP) on her new book! 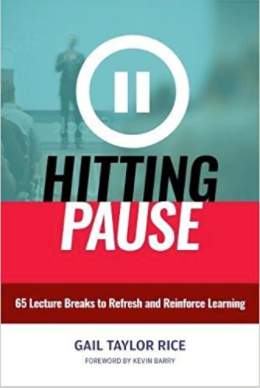 Hitting Pause: 65 Lecture Breaks to Refresh and Reinforce Learning, that was published last week. “In this extraordinarily helpful book, Gail Rice provides two tremendous services to college faculty. First, she draws together research and arguments from a wide range of fields in order to demonstrate that simple, brief activities in class—built around the idea of creating “pauses” for student learning—can have a major positive impact on student success. Second, she presents a wealth of thought-provoking activities that faculty could begin using in their classrooms tomorrow. No faculty member will be able to read this book and not want to get immediately back into the classroom and put some of these excellent ideas into practice. An outstanding resource for faculty and those who work in faculty development.” - James M. Lang, Professor of English, Director of the Center for Teaching Excellence, Assumption College, and author of Small Teaching: Everyday Lessons fromt the Science of Learning. The combined efforts of the Deans, Academic Deans and central committees with the leadership of the Provost have developed LLU’s Academic Strategic Plan with the goal of educational excellence for the University. Programs are responsible to participate in this plan. A survey to all program directors has been sent out with a few, critical questions designed to encourage programs towards educational excellence. The due date to complete and submit the survey is February 20, 2018. A report of the program's submissions will be given to the February 2018 Board.